Reno is no stranger to a good time. The city is literally built around ways for you to go against your better judgment. Whether it&rsquo;s eating questionable three dollar shellfish or deciding it&rsquo;s a good idea to &ldquo;invest&rdquo; your paycheck into your foolproof method of craps, there&rsquo;s a good chance you are going to regret it in the morning. Nevertheless, Reno has a lot more to offer than just bright lights and temptation. 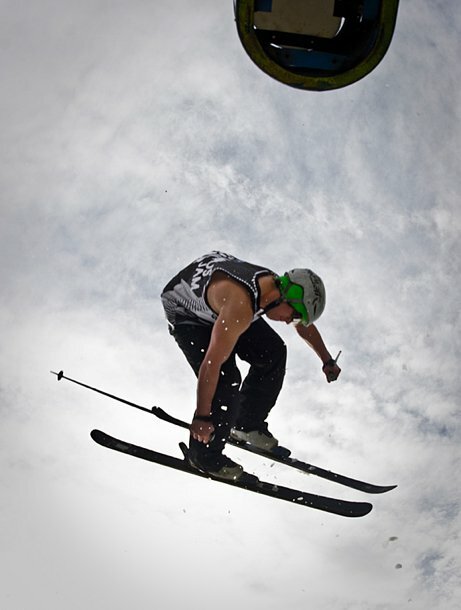 With the University of Reno situated right beyond the strip, thousands of Sierra-shredding rippers are ready at all times to ride whatever you throw in front of them. 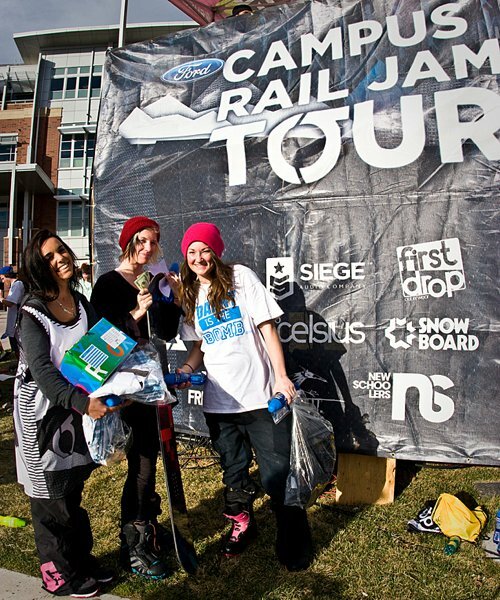 Lucky for them, the Ford Campus Rail Jam Tour decided to truck in 25 tons of slush and three rails to help them get their fix. 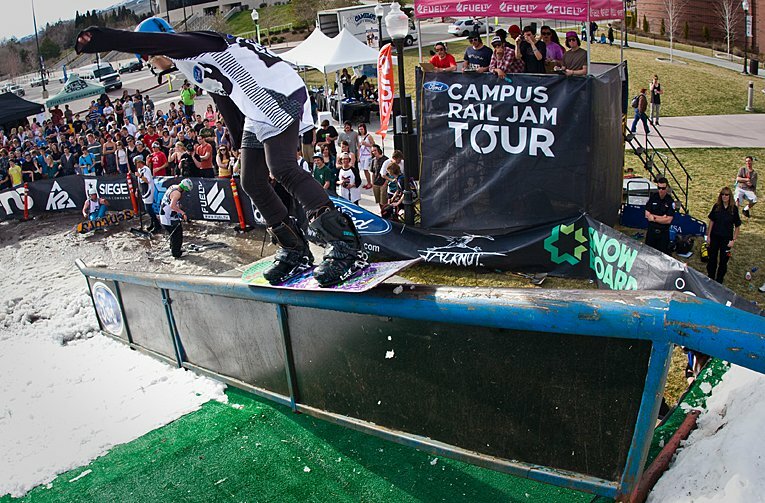 As the tents went up, motley crews of local shredders began to roll onto the scene. With the scent of the BBQ attracting hungry hotdog-eating co-eds, the crowd assembled, riders geared up, and it was time for blast off. Reno/Tahoe riders never cease to amaze, casually checking tricks off their seemingly endless list. 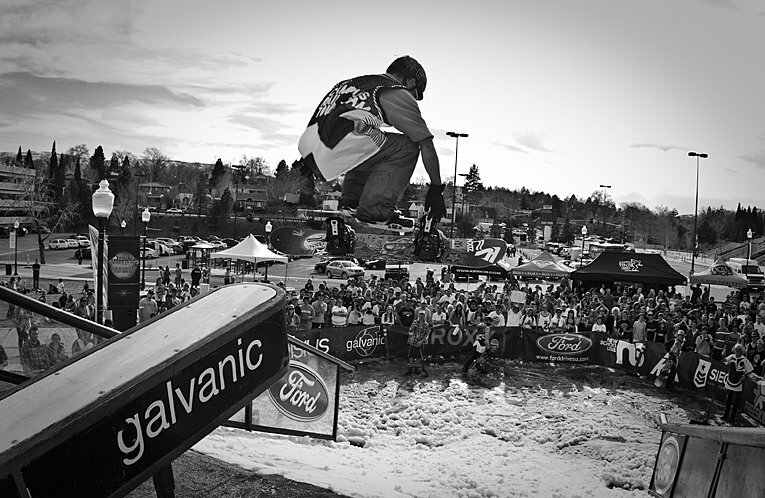 Flips off the cannon box kept the crowd gasping while the down-flat was pulverized by swivels, presses and spins. The skiers dropped next and things got real. The two-plankers decided to have a friendly competition to see who could be the first to land a rodeo off the cannon box. Needless to say, people got inverted and the crowd was stoked. Couple all that with switch-ups on the down-flat-down and the judges had their work cut out for them. With the jitters out of the way and the cash purse dangled in front of them, finals went off without a hitch. Snowboarder Bryce Salazar stomped all three features for a clean third place finish while Max Fokanaga took home some swag from the sponsors in second. 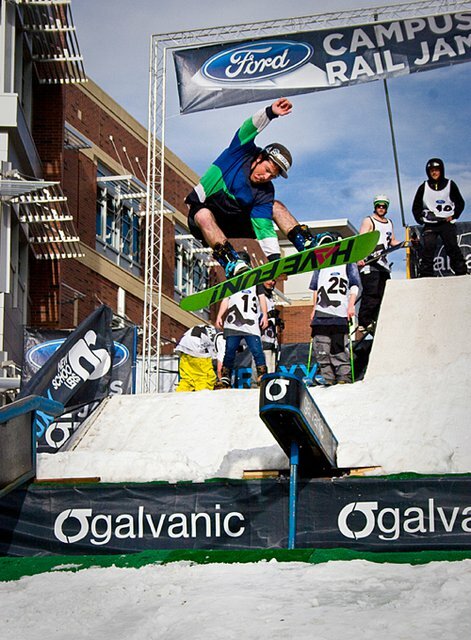 Danny Smith ended up absolutely slaying the setup taking home a wad of cash and some nice new boots from Celsius! 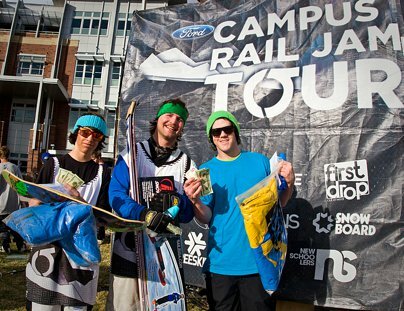 No stranger to the podium, skier Jed Kravitz took home a nice pair of Pabst x K2 skis to solidify his invitation to the Portland Finals. Charlie Ingalls came in a close second followed by Jaime Melton. 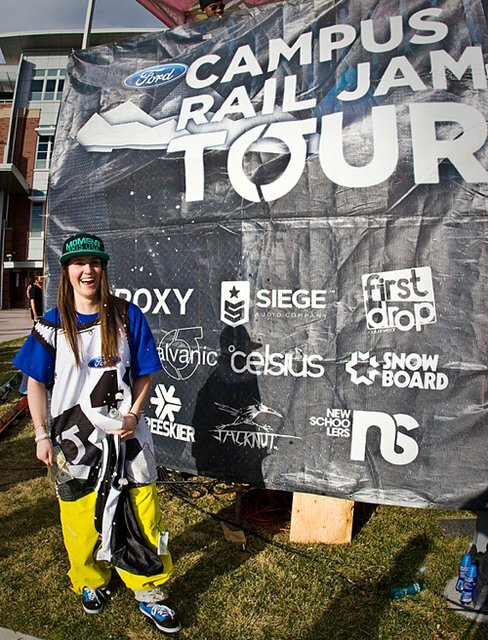 Nothing could stop Kristen McCormack as she was the only female skier brave enough to take on the set-up. The lack of competition didn&rsquo;t phase her, she definitely knows how to ride and scooped up some First Drop Outerwear for making it happen. The girl snowboarders took a beating trying to take the top spot. Christi Nasser found her way to third followed by Bella Rodriquez in second while the top spot and a new board from Roxy went to none other than Danyale Patterson. You girls killed it! 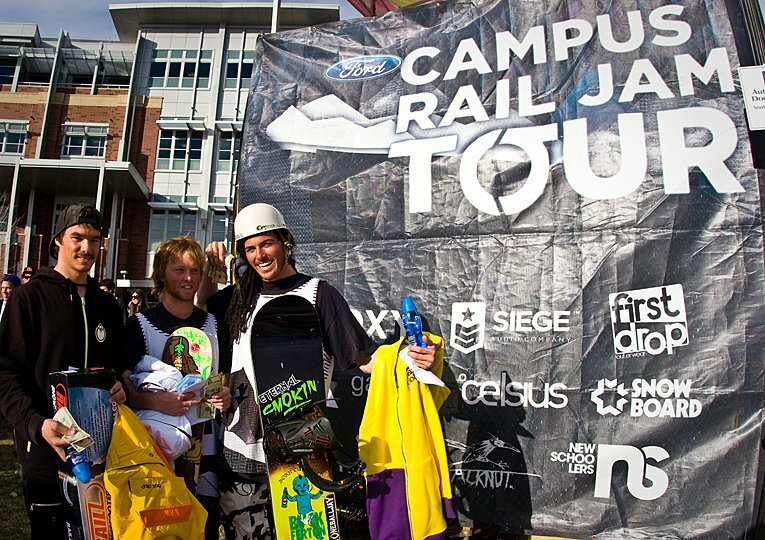 Big thanks to ASUN, Ford, Roxy, K2 and First Drop for making this annual event so awesome. 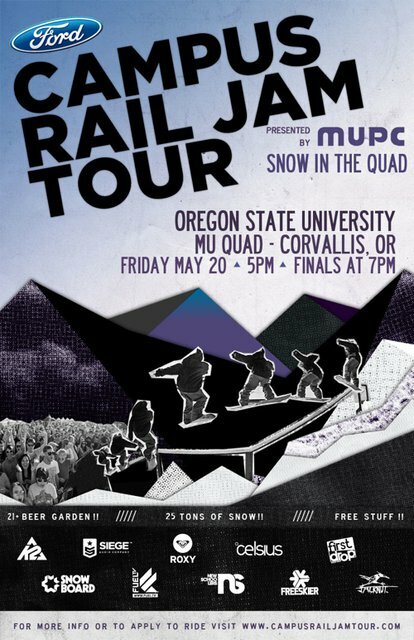 Next stop, Corvallis, Oregon. Be sure to check out the event videos above to see the crew getting weird in Reno! 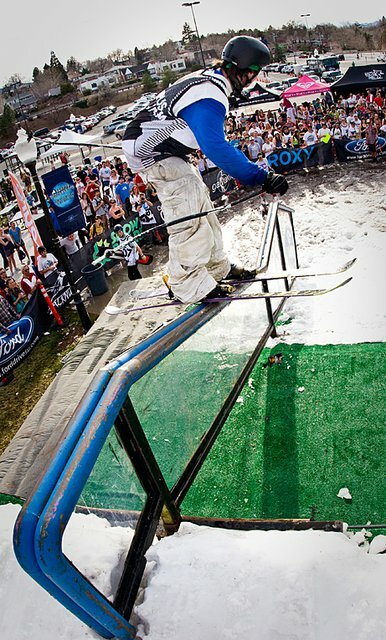 Not only a positive for the ladies out there absolutely crushing it, but to the nature of rail jam style events in general.